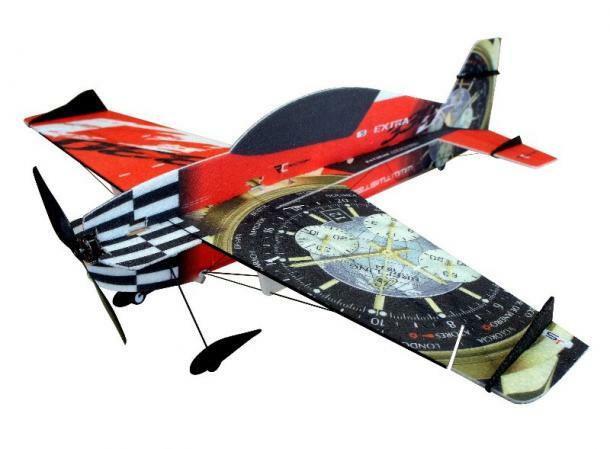 This amazing model is the result of more than 3 years of refining and development by the indoor aerobatic pioneer and World Air Games competitor Jan Spatny. Oversize controls, the right distribution of fuselage side area and side-to-side thrust vectoring give this model some truly unique abilities. 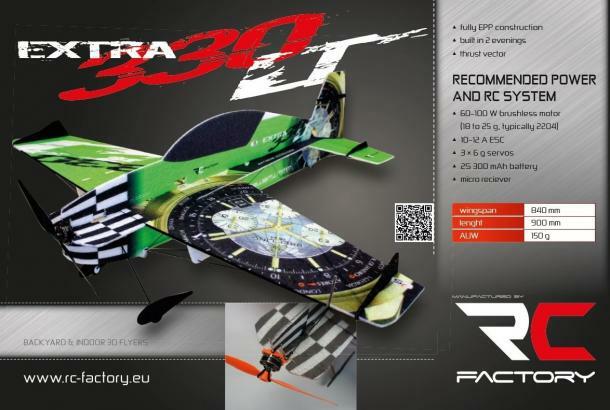 Whip-like snap rolls, tight knife edge loops or any other maneuver you can think of, there is nothing this plane couldn't do. Light 4mm EPP construction gives the model flying qualities on par with the best milled-out Depron planes, with the added advantage of much better durability.